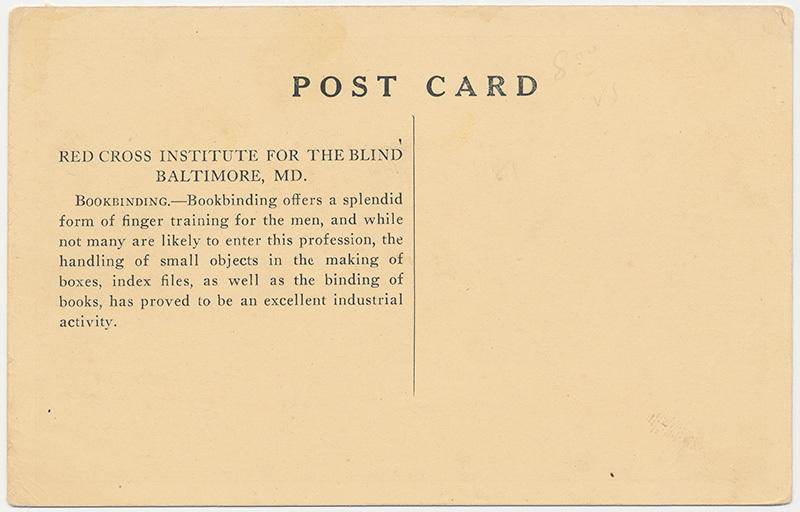 Recent acquisition of a postcard depicting a bookbinding workshop at the Red Cross Institute for the Blind in Baltimore, MD. 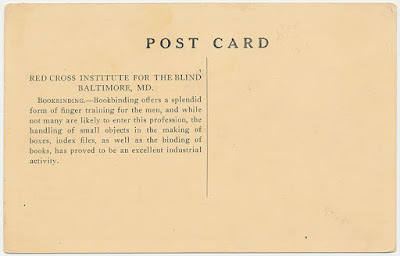 The postcard is ca. 1920.
frame, heated glue pot, and an unidentified device at the far end of the bench. 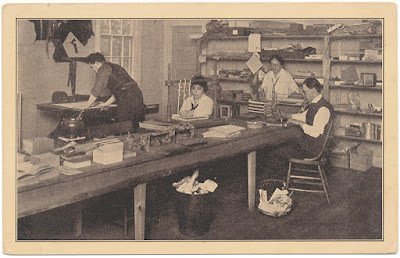 While the postcard describes this as an activity for men, it seems that half the individuals in the image are women, at least judging by the clothing. The Bone Folder: PDF print edition of the English translation laid out for binding in signatures (5 signatures of 16 pages each). The Bone Folder: Full-text of the English translation of the Pressbengel with link to new introduction. Purchase a bound version of the English translation at Lulu. Der Pressbengel: Full-text of the German original. © Peter D, Verheyen, verheyen@philobiblon.com, 2010-2016 -- All rights reserved. Simple theme. Powered by Blogger.